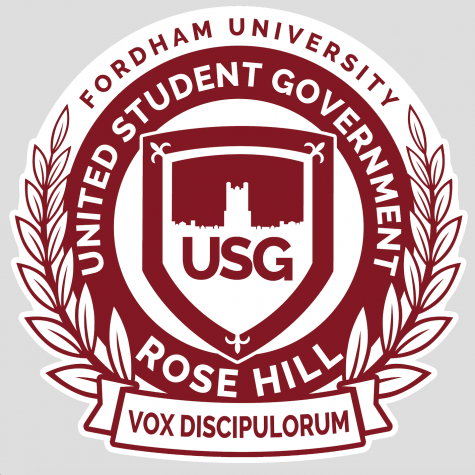 A group of students at Fordham is asking for an LGBTQ+ focused integrated learning community (ILC) at Rose Hill. The space they are envisioning would provide members of the Fordham community with a space akin to Queen’s Court or West Wing. The Pride Activism Committee, which is a group under the Rose Hill Pride Alliance, is spearheading the initiative. 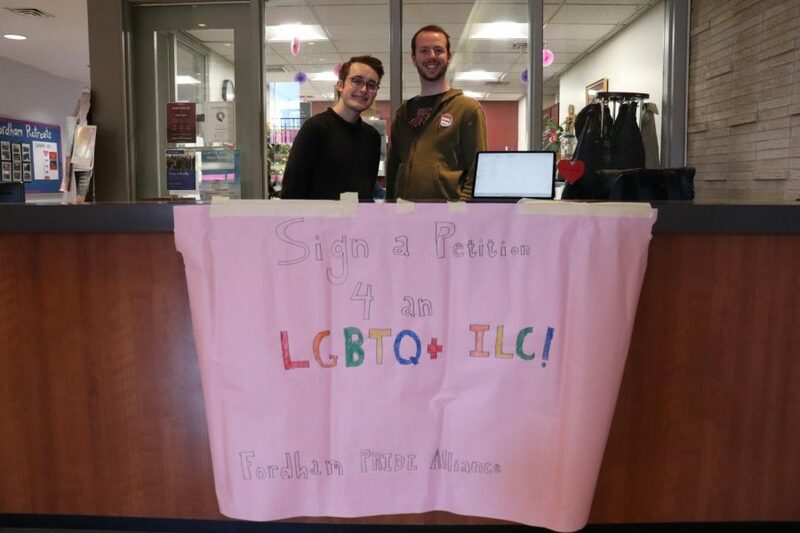 It started the process of gathering signatures on Wednesday, April 3, but the group has been planning this initiative since the beginning of the semester. It plans to gather signatures outside the cafeteria in McGinley Center on Wednesday afternoons. 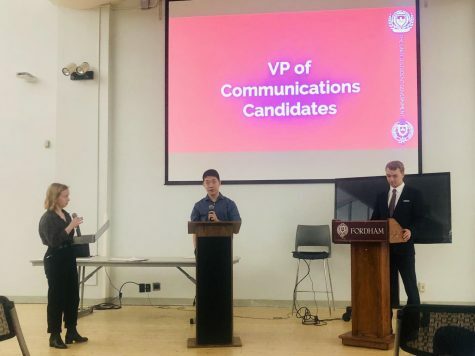 It’s goal is to gather support before approaching United Student Government, Residential Life and the Fordham administration. Jack McClatchy, FCRH ’21, is the programmer on the Pride Alliance executive board. He said the petition’s goal is to show support for the initiative before bringing it to Fordham’s administration. Isabelle Fabrizio is the secretary for The Pride Alliance. She added that the initiative caters to Fordham’s idea of Cura Personalis. Ariston Papeo, FCRH ’20, is also on the Pride Alliance. As a Resident Assistant (RA) he has been coming up with programming ideas for the ILC. As of publication, the petition has gathered 119 signatures. Rather than using an online petition site like change.org, every signature has been physically recorded. The petition is also intended to provide an on-campus housing option for transgender students. Fabrizio and McClatchy want the ILC to be open to sophomores through seniors and provide a safe space. 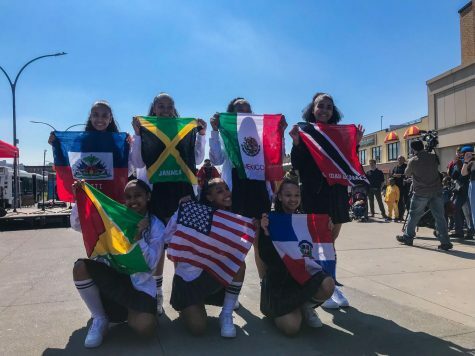 Fabrizio said members of the Pride Alliance are researching this policy as well as the policies of other Jesuit institutions as well as other colleges in the New York area. Another Jesuit University, Georgetown in Washington DC, made the move to offer LGBTQ+ only housing. Their proposal similarly to Fordham’s, seeks to provide a community space for inclusion.